The Kawasaki Ninja H2 SX SE turns the H2 platform in a sport-tourer. 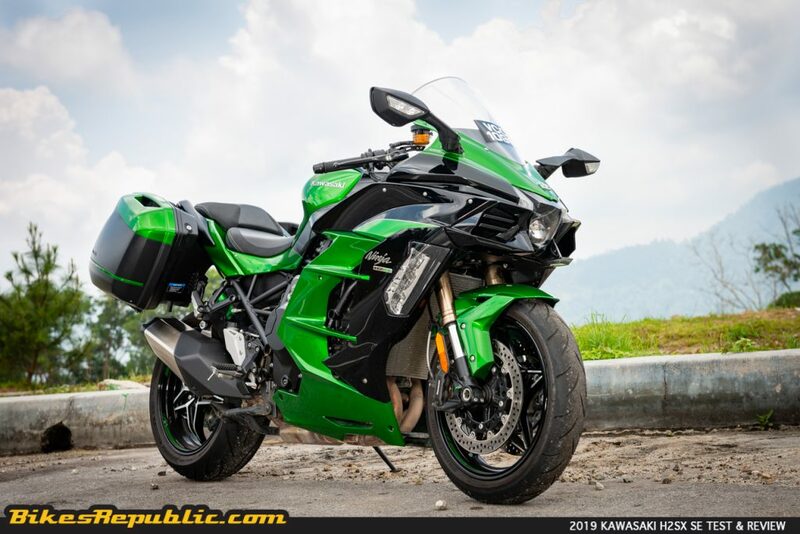 It is now the most powerful and fastest sport-tourer. 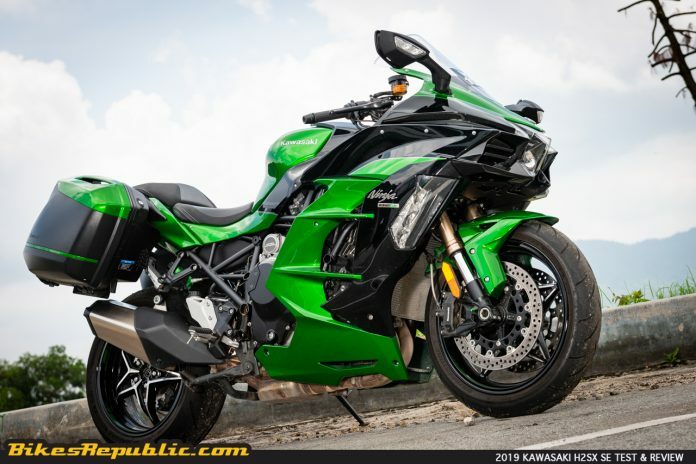 Riding the Kawasaki Ninja H2 SX SE will get you thinking about Albert Einstein’s Theory of General Relativity. 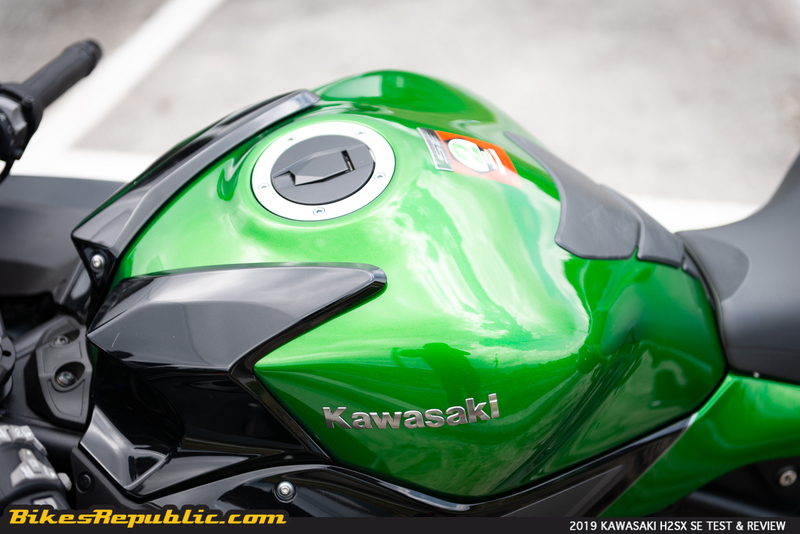 There are already a number of fast touring machines in Kawasaki’s arsenal. 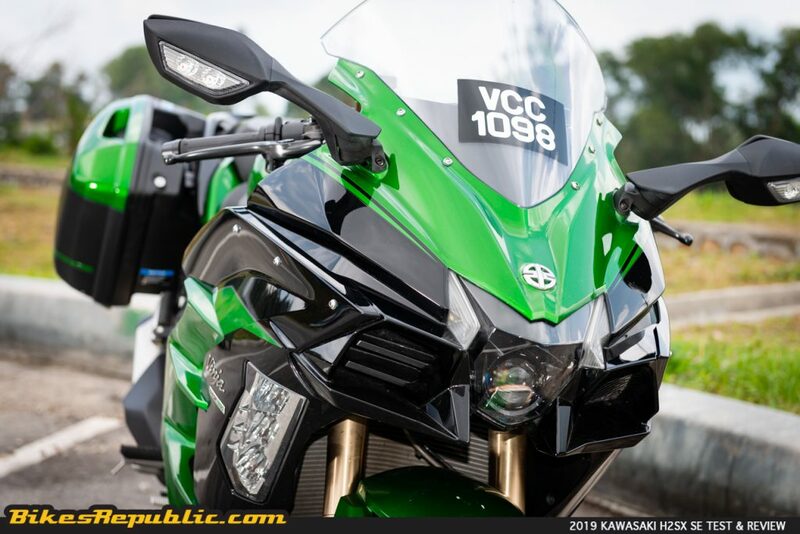 There’s the Ninja 1000SX (previously known as the Z1000SX), Versys 1000, and of course, the popular 1400GTR. The 1400GTR ruled the sport-touring roost for many years since its inception. Seeing them doing more than 200 km/h on the highways complete with luggage and wife is a common sight. 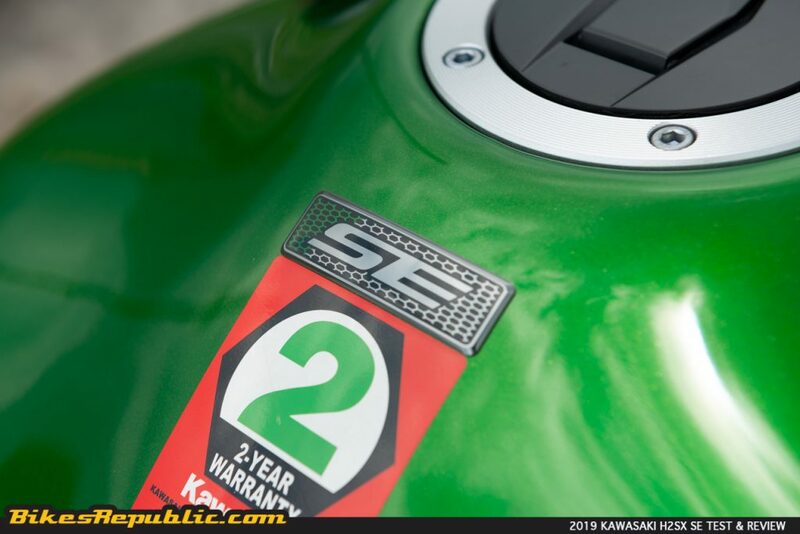 But Kawasaki needed more in the face of the 170-hp KTM 1290 Super Duke GT. 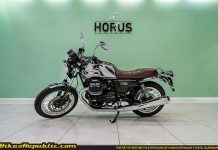 So, why built a completely new bike when already have a warp-drive like engine of the H2? Let’s just turn it into a sport-tourer then. It is a good idea? 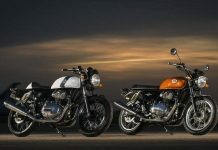 Is there too much power for a bike for the long-haul which invariably includes luggage and a passenger? Yeah, we asked the same questions, too. Of course, let’s start with that supercharged engine. 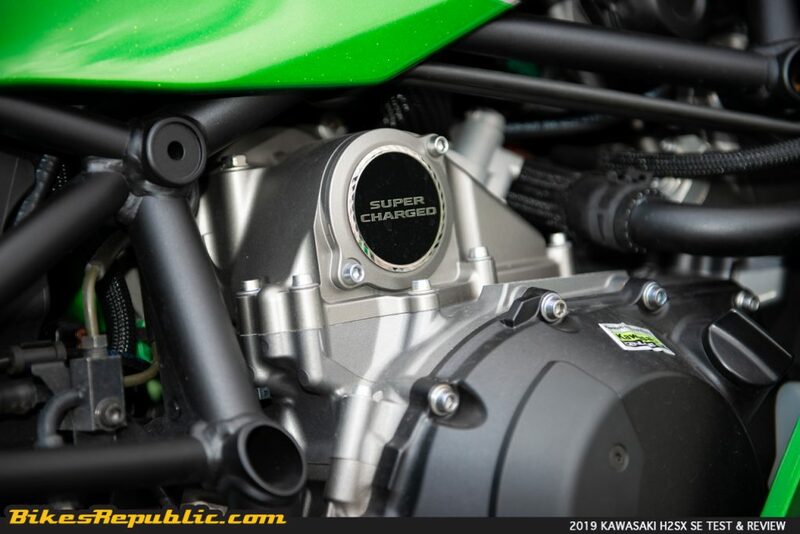 The H2 SX line-up’s supercharger is what Kawasaki calls “balanced supercharger.” As the name implies, the compressor is optimized for tractable torque across the rev range, instead of eyeball bleeding horsepower like on the H2 (231 hp) and what more the H2R (340 bp without ram air). 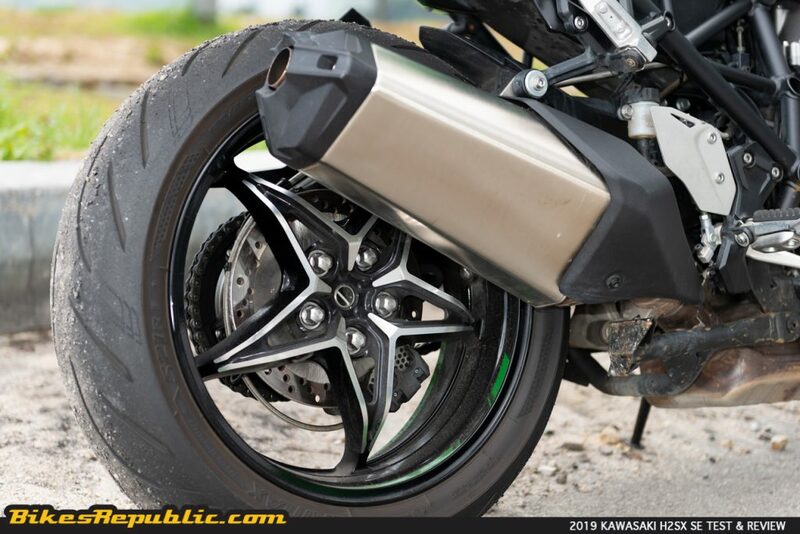 In the real world, it provides the rider with smooth acceleration (it’s a relative term!) anywhere in the rev range. 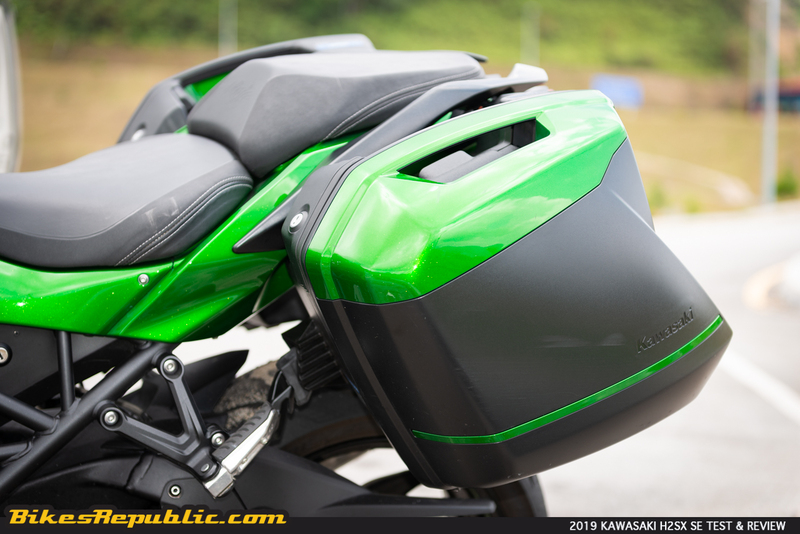 It also allows the bike to lug the extra weight of the luggage and passenger. On the other hand, having all the horsepower means nothing if the rider needs to rev the snot out of the engine just to get it going. 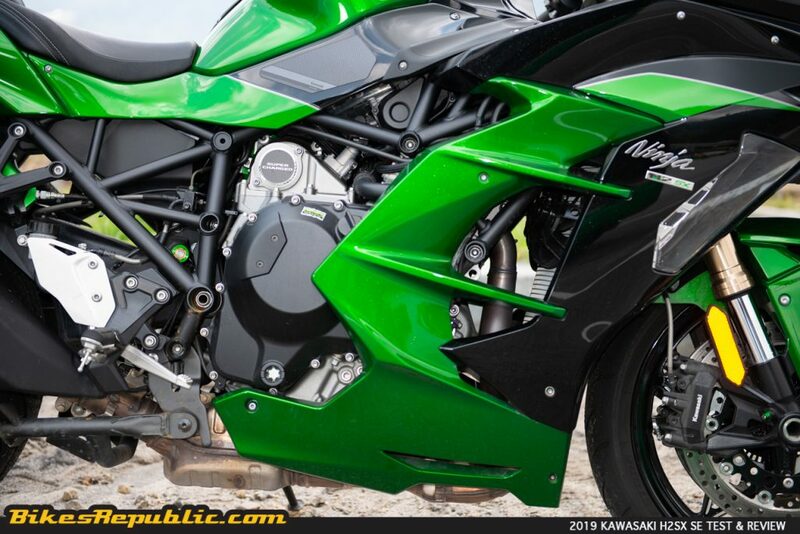 So, how much horsepower does the H2 SX SE make? 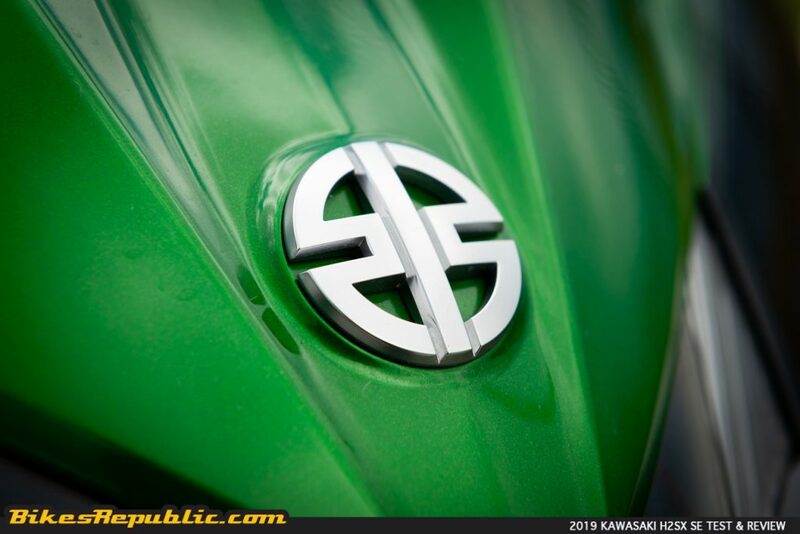 197 hp at 11,000 RPM and 137.3 Nm of torque at 9,500 RPM. Doesn’t look a lot, but it’s a tourer, remember? But it does cement its place as the most powerful sport-tourer. Okay, let’s move on to the other features. 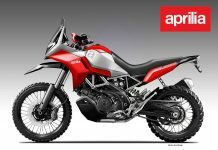 The H2 SX line-up has three variants: The base SX, middle SX SE and the new SX SE+. The engine and tuning are the same across the platform. 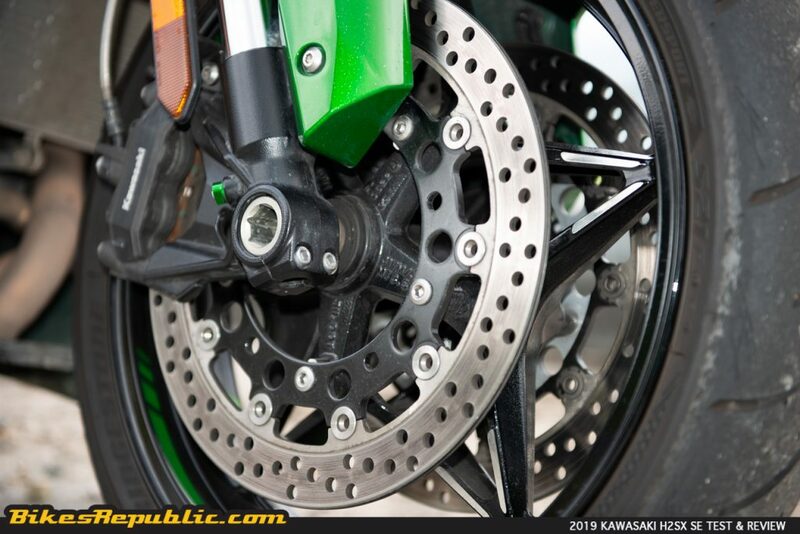 Kawasaki Engine Brake Control (KEBC) which lets the rider choose the level of engine braking. 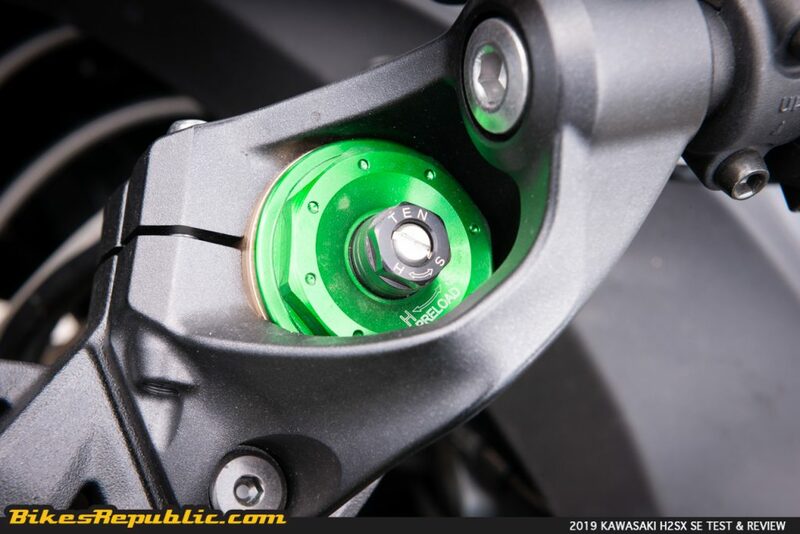 Kawasaki Intelligent anti-Lock Brake System (KIBS) to provide lean angle sensitive traction control and ABS. Bi-directional Kawasaki Quick Shift (KQS). 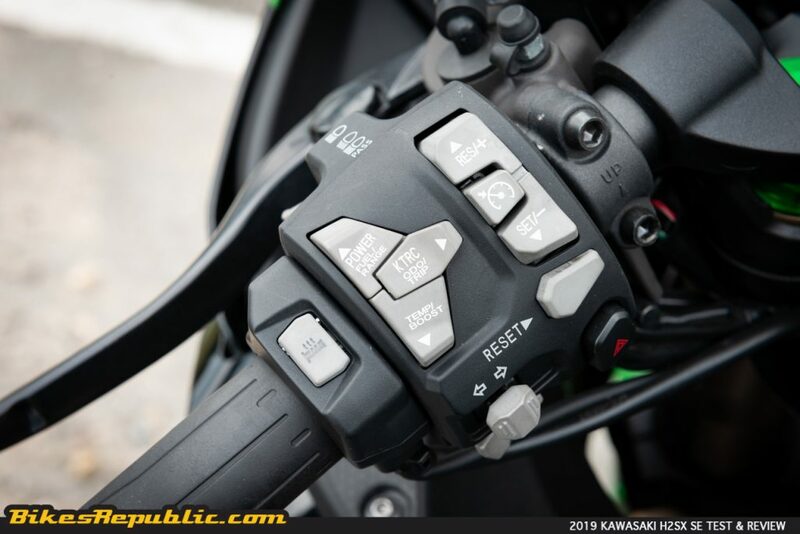 Kawasaki Electronic Control Suspension (KECS). Brembo Stylema monobloc brake calipers. Our first thought when we climbed on was where’s the handlebar. That stemmed from our familiarity with contemporary sport-tourers whose handlebars rise almost straight up and back. We found this bike’s clip-ons further down. You read that right – clip-ons instead of a handlebar, albeit they were mounted above the top triple clamp. Hence, the seating position is somewhere in between the H2 and 1400GTR. The footpegs were mounted in between the two extremes, too. But why such low position for the handlebars? 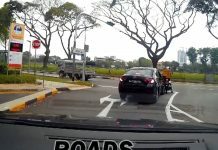 Because the position makes all the sense in the world when the bike engages warp drive. It’s not at all uncomfortable – just different from other sport-tourers, the Super Duke GT included. Here’s a tip for future owners: If your buddy asks you why only 197 hp, you can answer, “Because it’s a tourer.” But if he asks about the sporty riding position, you can answer, “Because it’s a sportbike.” That way, you always win. I admit, I was filled with fear, so I chose Medium (M) power level. 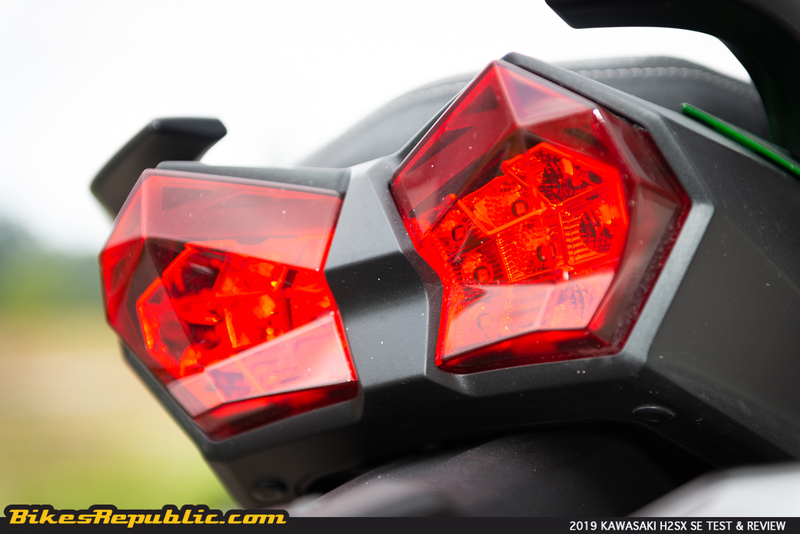 But the fear disappeared as soon as the clutch lever went out – the bike was smoooooth! The handlebar didn’t feel like it had a ton of bricks sitting on it, either. It was light and you could actually weave the bike in and out of traffic. Steering into corners felt a bit vague at first, but we found out that there was too much rebound and compression damping in the forks. Winding out 4 clicks of each parameter cured the problem and the front bit into the road and pulled the rest of the bike with it. But… I bet you’re more interested about its power. Well, I can tell you that felt like no other sport-tourers out there. Uh uh, none. Rolling along at 110 km/h in 6thgear, still in M power mode, I gave it about ½ throttle. 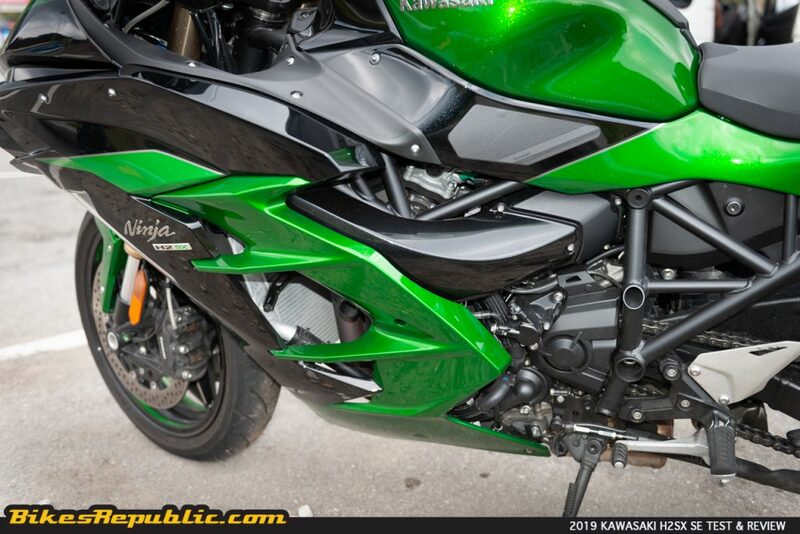 The bike surged ahead to a wonderful growl and jet-like intake noise. By the time I hit the 6thlamp post, the speedo already showed 201 km/h. The pickup in speed was very deceiving as the large windscreen kept the wind blast off the torso and helmet. Additionally, the engine and exhaust were very muted. I kept finding myself arriving at a corner or behind a car *MUCH* faster than I anticipated! Thankfully, the handling and brakes are up to standard. 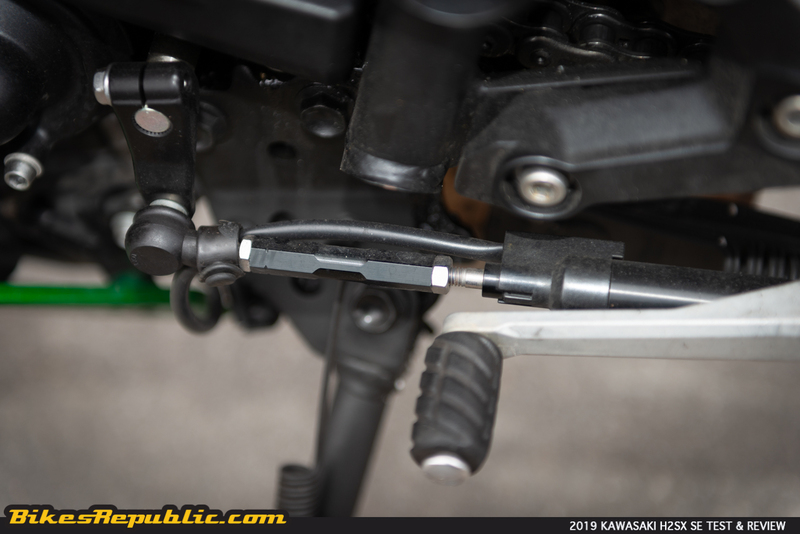 The quickshifter jammed in the gears solidly but it’s much smoother to use the clutch for first to second and second to third at lower speeds. However, it shifts smoother if you use F (Full power) mode. Where better to test a road bike’s handling and suspension? Take a trip up Genting Highlands, of course! I decided to ride it up the mountain at night, since it’s cooler. All vehicles in the mirror disappeared as if they were driven in reverse. It wasn’t all about straight line speed, however. 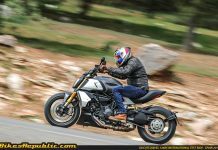 The H2 SX SE took to the corners on Karak like it was yawning. Those long sweeping corners are its natural habitat. 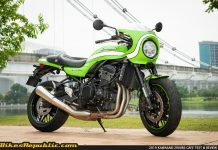 Up the Genting road, the bike needed smooth steering inputs especially over bumpy corners. Being long and relatively heavy, you need to brake early for the corners and steer in earlier. Then as you reach the apex, stand the bike up a little and apply the throttle – carefully and smoothly – blasting your way out. It doesn’t flow so well if you’re a rider who fixes slow corner entry speeds with early throttle application. I didn’t push it at all since it was night. Instead, I rode as smoothly as I could and reveled at the stupendous roll-on acceleration and ability to turn hard into corners. Yet, it took only 12 minutes from BHP Gombak to the Nanyang Restaurant in Gohtong Jaya. The secret here was the quick acceleration back up to speed after slowing down. That kept the average speed up. 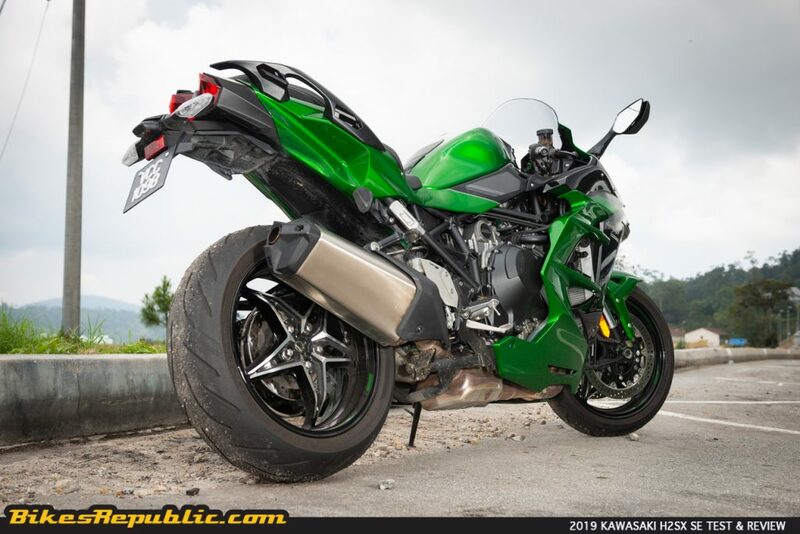 Nonetheless, describing the bike as being fast without attesting to its overall handling isn’t fair. 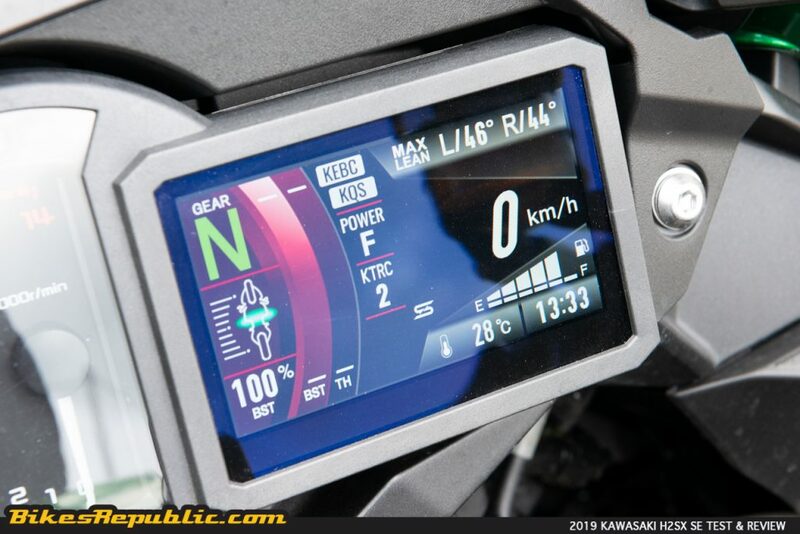 The bike behaved very well when ridden in heavy traffic, not trying to surge forward even below 60 km/h. 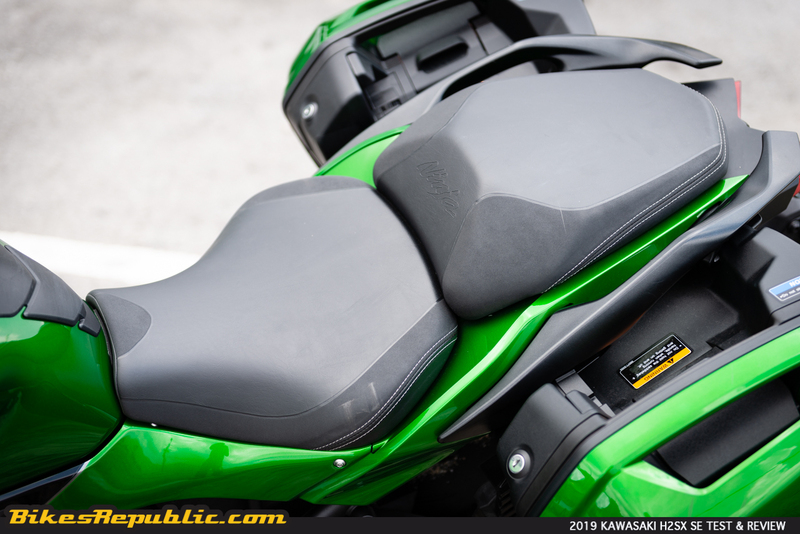 Additionally, the seats were comfortable for both rider and passenger. 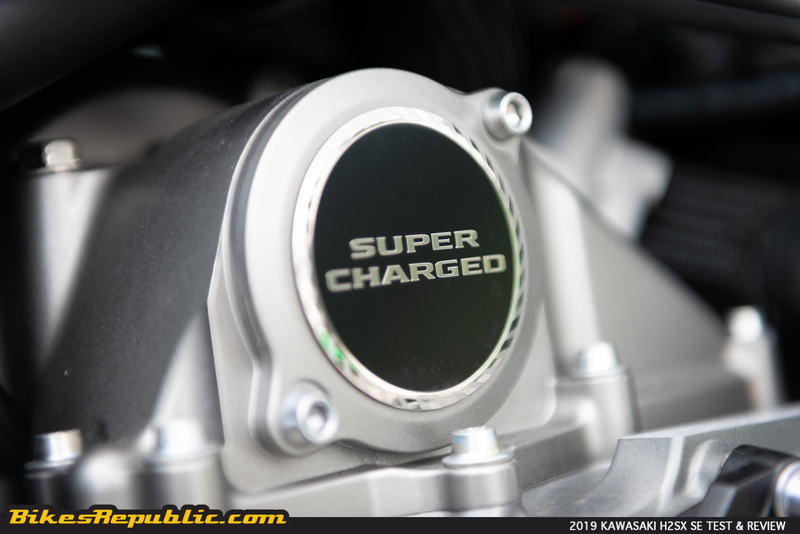 So, why supercharge a sport-tourer? I guess anyone who loves bikes (or cars, aircraft, boats, etc. etc.) do love the rush of speed once a while. That, or the satisfaction and pride of owning the fastest sport-tourer. It’s difficult to put my thoughts down on paper about this, for it’s something latent. 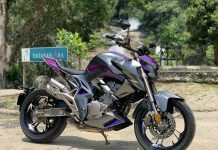 But I’m positive that you’d fall in love with the bike’s power, acceleration, handling, looks if you get the chance to ride it. There were couple of gripes, though. One was the heat being thrown onto the right leg’s shin. I picked up the bike while wearing sneakers (which I shouldn’t do when riding) and I swear it removed all the hairs! So, remember to always wear boots when riding this bike. Secondly, the type of sharp bumps on our roads kicked the body hard. 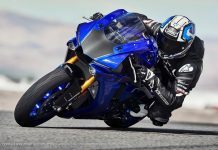 However, the bike felt a whole lot better at high speeds, meaning that the suspension is geared towards high speed riding. The electronic semi-active suspension on the H2 SX SE+ ought to be better. 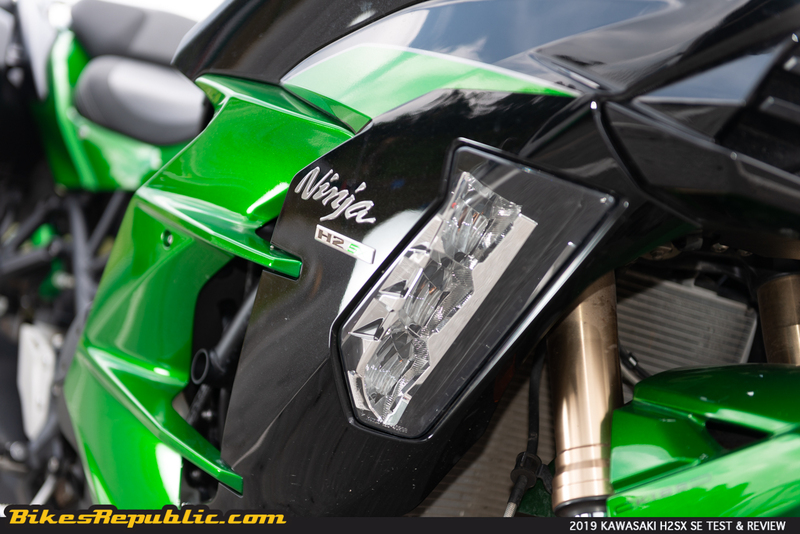 Nevertheless, the Kawasaki Ninja H2 SX SE was one of the most addictive bikes I’ve ever had the pleasure of riding. Why not? Riding anything else felt so slow it’s like taking years to get somewhere. Just like what Einstein said about time dilation.